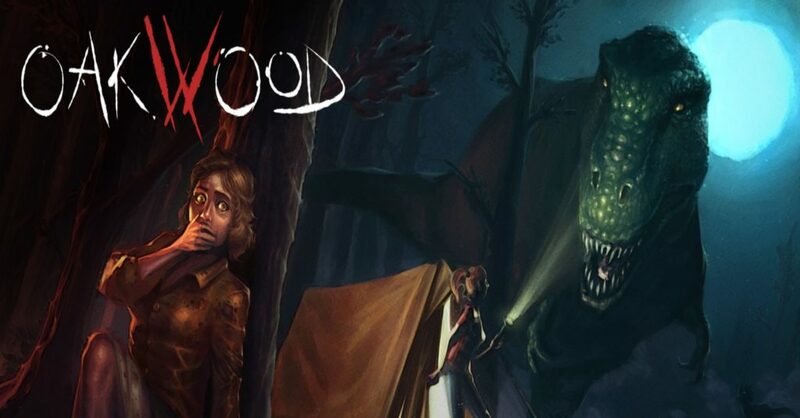 Game developers Breaking Dimensions and Polygon Dust has announced that their latest dinosaur-focused horror title Oakwood is now available on Steam. Before the holiday season really kicks into overdrive, let us rejoice in this new single-player experience that features abandoned campgrounds, pre-historic creatures, and … British Columbia? Neat setting — I hope they make use of the gorgeous natural vistas there while you’re fleeing for your life. 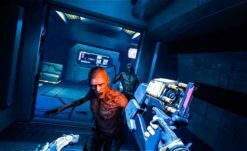 As most horror games claim to fame, you’ll be equipped with a flashlight, stealth, and your wits. You arrive late to the Oakwood campground and find the bloody remnants of your friends. Exploring the forest and lodging areas reveals creatures that were once thought to be extinct, but now roam the campgrounds. No worries, there’ll be plenty of velociraptors to go around. The dinosaurs will be cunning and ruthless so use your skills wisely. Breaking Dimensions and Polygon Dust are blowing the dust off of some truly terrifying archaeological horror icons. Oakwood is only $4.99 US on Steam! What a Jurassic holiday treat (hopefully)!